Buffalo wings, and we’ve got the saucy details. One of the most important elements of the classic buffalo wing is its crispy, fried skin. Though many modern Buffalo wing recipes suggest baking wings in the oven to make them healthier, that’s not the way Teressa made the original batch in 1964. Anchor Bar’s Signature Recipe gives you permission to bake the wings if you’d like, but if you’re shooting for truly authentic wings, deep-fry them. One of the keys to crispy fried chicken is properly draining the excess oil once it’s cooked. Don’t drain your deep fried wings on paper towels; the wings end up steaming themselves and the skin gets soggy. 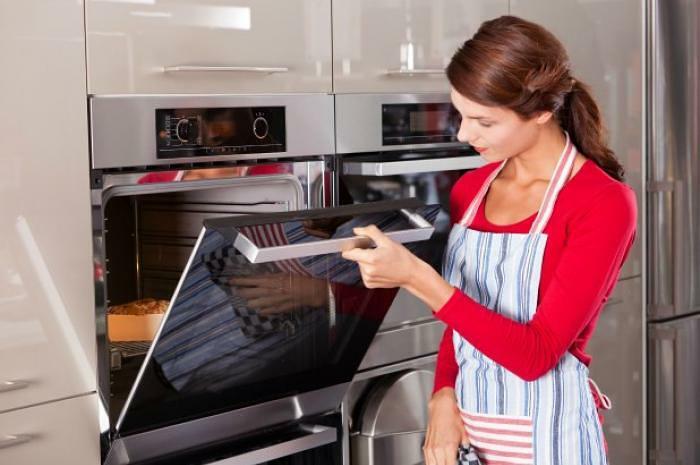 Instead, drain the cooked wings on a metal cooling rack that’s been set over a baking sheet. The other key to authentic Buffalo wings is the sauce. Surprisingly, you don’t need many ingredients to make this spicy, signature sauce. If you’re not up for making hot sauce from scratch (good homemade hot sauce takes time to develop flavor; if you’re making your own you’ll have to plan ahead) you can buy the original Anchor Bar wing sauce online or mix a bottle of Frank’s Red Hot sauce with margarine. They key to authentic Buffalo wing sauce is to keep it simple; no need to add anything to this tangy and delicious combination. 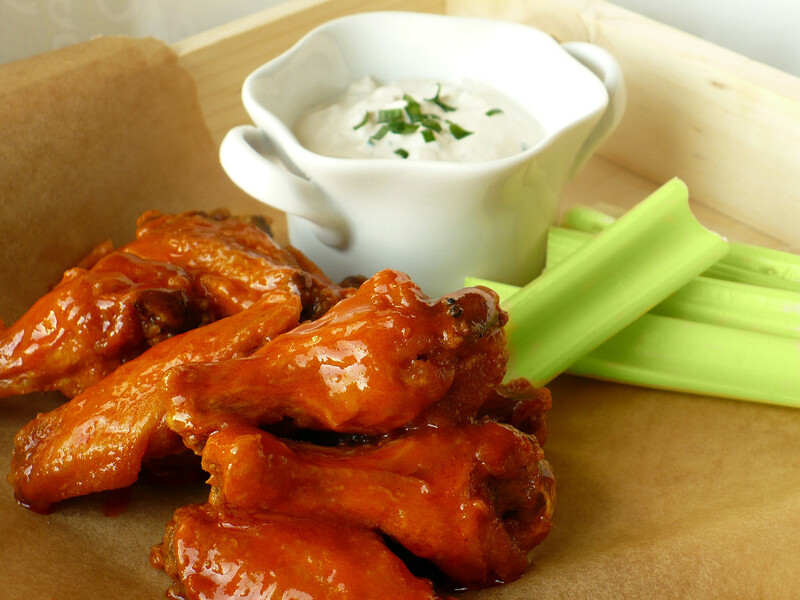 Whether you’re having friends over the watch the game this weekend or are craving a plate of hot wings, follow these steps for authentic Buffalo wings. 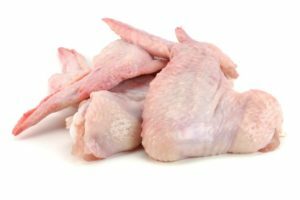 There’s no need to dredge the raw chicken wings in flour or season them with salt and pepper. We know, it feels strange to cook unseasoned chicken, but we promise they’ll be crisp and flavorful after they’re deep-fried and coated in hot sauce. Once the chicken wings have been dried, fry them in 350-degree oil for 10-12 minutes. It’s important to fry the chicken wings in neutral oil like peanut or canola; other oils, like olive oil, can add unwanted flavor to the fried wings. 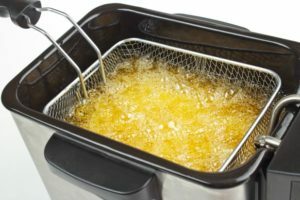 If you fry too many wings at once, the temperature of the oil will drop and the wings won’t be crispy. Fry them in small batches, placing the finished wings on a baking sheet in the oven to keep them warm while you cook the others. Unless you’re using Anchor Bar bottled wing sauce (the variety labeled “medium” is the one that made Buffalo wings famous) you’ll need to mix up a hot sauce yourself. 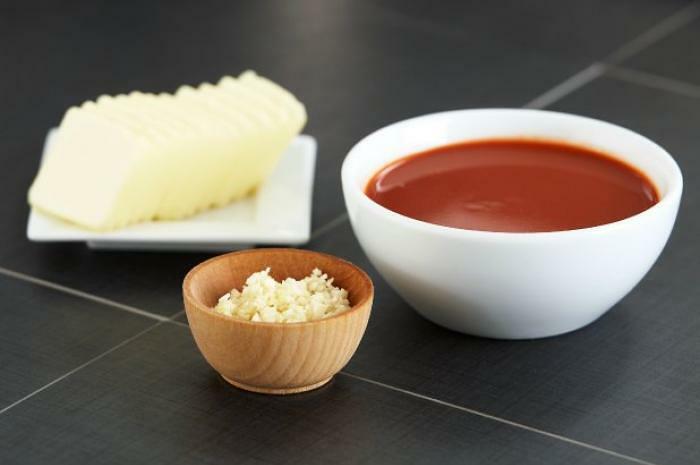 Simply mix a cup of vinegar-based hot pepper sauce (we like Frank’s Red Hot Original), minced garlic, and 12 tablespoons of melted margarine until combined. 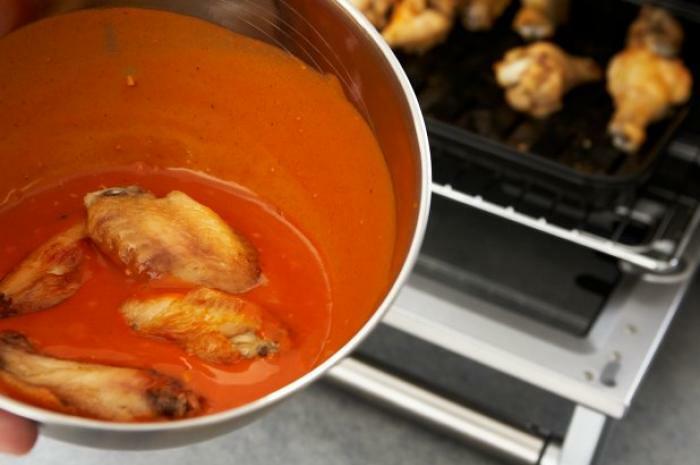 Put your warm Buffalo sauce in a large bowl, add the deep fried chicken wings, and toss until evenly coated. 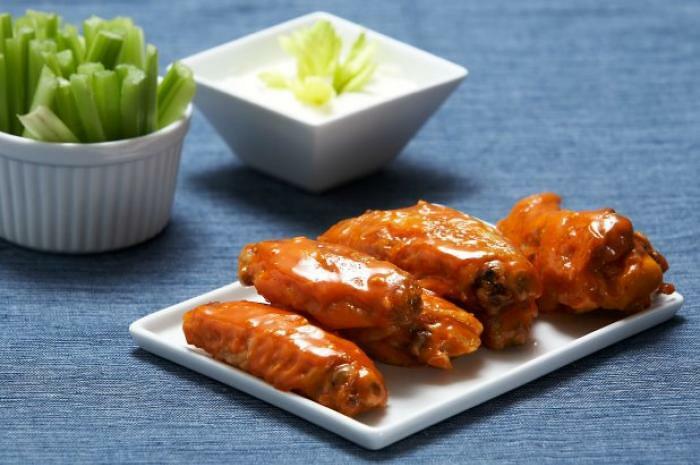 There’s no mention as to whether the original Buffalo wings were served with celery and Bleu cheese, but the Anchor Bar recipe recommends serving them this way so we do, too!